Tidy Start Menu 4.33 free download. If you feel tired of searching for programs in the long "Start Menu" list, then this program is for you. If you feel tired of searching for programs in the long "Start Menu" list, then this program is for you. It allows to arrange all shortcuts in the Start Menu. As a result, the menu looks neat, and you easily and quickly can find any program you want. The "Tidy Start Menu" program will help you to put the menu in order and make your work comfortable. For example, you can create a special "Games" category, and when opening the Start Menu you thus will see a "Games" section, (instead of a list of the games) in which you will find the game you need. and other useful functions, which are either already available, or will be added to the future versions. Each time you start programs from the Start menu, you use the interface that has not changed for 10 years. Start Menu Tweak will help you arrange Start Menu and Favorites and make your work comfortable! It will sort your software into groups. Start Menu Cleaner is a simple little program that looks at all the shortcuts in your Start Menu to see if they work. 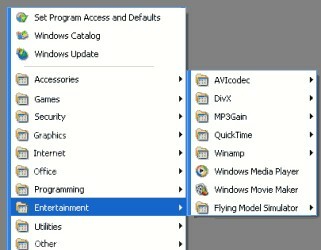 Start Menu Tuner helps you to create program categories you need and sort your application by them.